The Standard Horizon BQ-470 fully-automated 4-clamp perfect binder, with its state-of-the-art design and fully-automated setup, is easy to operate with minimal operator training required. The BQ-470 perfect binder fits a sweet spot in short-run professional-quality book production with full automation and touchscreen control. Efficient production: It produces up to 1,350 superior-quality perfect bound books per hour, with 4 clamps that travel on a vertical elliptical track. Automated touchscreen control: The BQ-470 binder’s 10.4” LCD touchscreen is used to provide stepper motor-controlled automation to the professional-quality mid-range binding market. Wide range of applications: The BQ-470 can bind books up to 2.5” thick, and interchangeable glue tanks support both EVA and PUR adhesives to meet varying customer requirements, including digital color books. For more information about PUR binding, click here. 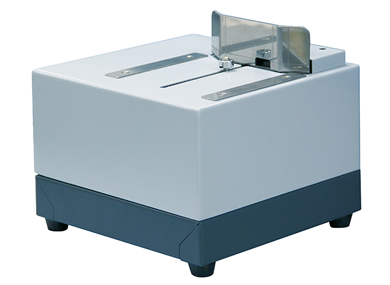 The SI-470A is a book thickness measuring and input device for further operation efficiency. 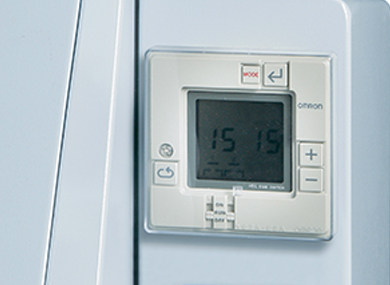 The T-470 weekly timer automatically switches power on at pre-set times for quick make ready. Time and day of the week can be set. 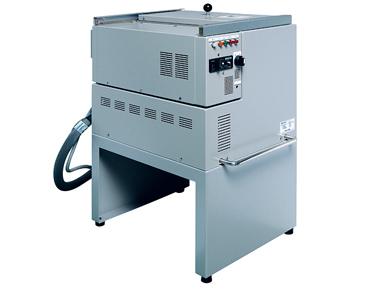 The PM-470 is an 18-liter premelt tank for EVA hotmelt glue. 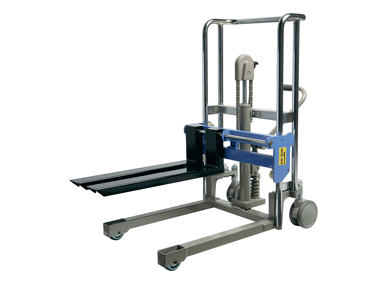 The L-470 is a hand lifter for easy and safe tank replacement. It can be customized with the F-470 fork, a custom-fit attachment that holds the glue tank firmly in position for easy and safe tank replacement.